After 117 years, we’ve decided we may never grow up. We’re fine with growing old. We’re just not fine with forgetting where we came from. So we’re staying true to our original recipe: build great products, put the customer first and provide honest value every day. 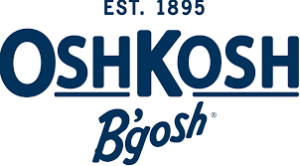 In 2005, OshKosh B’gosh joined the Carter’s family of brands. Together,OshKosh B’gosh and Carter’s are two of the oldest, largest and most-recognized brands of baby and children’s apparel in the world. That’s a lot of history — connections binding families, and lasting relationships forged with customers and tales of timeless quality.